Over the next month, millions of families will hit the road to enjoy a fun family getaway before school starts. To celebrate these memories, TruStage and CU Solutions Group’s Love My Credit Union Rewards program are teaming up to make these and other vacations a little more fun this year. The organizations invite people and families to share photos from their summer vacation trips through Facebook, Twitter or Instagram -- including #CUVacay in their posts -- for a chance to win. 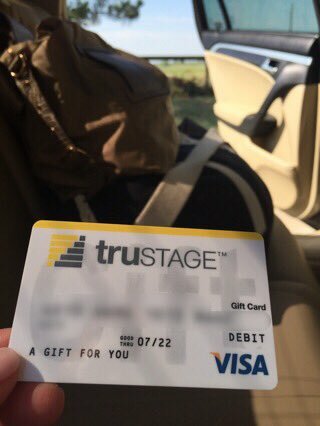 Every day until Aug. 21, more than 100 families, as many as five times per day, will be picked at random from pictures posted on the social media sites to win a $100 TruStage Visa® gift card. As part of a new media partnership between TruStage and CU Solutions Group, the photo contest will be featured as part of a national ad campaign running on GSTV at gas stations and travel centers in select markets across America. These ads highlight an exclusive credit union member auto and home insurance discount available through TruStage. More than 2,400 credit unions nationwide are affiliated with the Love My Credit Union Rewards program. It's designed to help members save money on products and services they use every day.